Tabletop Dimensions: 24 in. x 60 in. 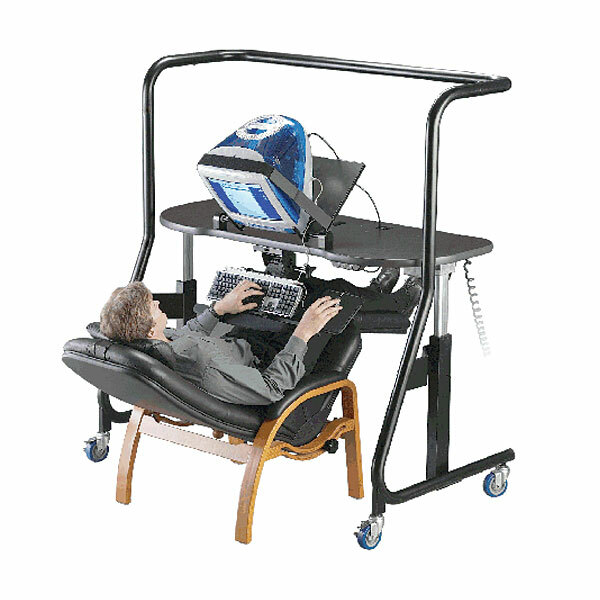 A workstation solution to computer users who work from a reclining position. The Model 500 straddles a bed or recliner and can hold up to 21 monitors anywhere on its tabletop, and will securely position the monitor at angles up to 55 degrees using its motorized monitor tilt platform. The adjustable keyboard mechanism and motorized height adjustment make ergonomic configuration easy - even for the most demanding cases. Tabletop: 24 in. x 60 in.